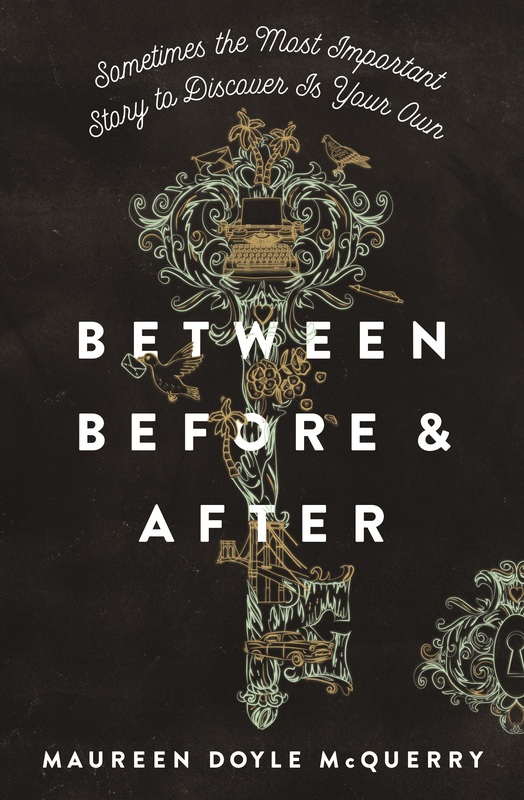 We are celebrating with Maureen McQuerry today, as her new book BETWEEN BEFORE & AFTER takes its long anticipated first steps into the world. Ten years ago, while the US economy was in a freefall, the manuscript which Maureen had originally titled A Trail of Crumbs was circulating and getting a lot of common feedback referencing her stunning prose; writing that made scenes jump off the page; and “such strong voice.” We were sure we were on a straight path to publication. But then … we began hearing from editors citing a variety of reasons for passing on it: the economy; uncertainty about positioning; worry that the dual narrative mixed with present and past tense would make it too different. And would fairy tale references in a YA novel really work? After a time, we set it aside and Maureen turned her attention to other manuscripts which were published to acclaim. But this story of a family picking up clues and finding its way – in spite of twists in their path, locked doors, and secrets lurking in the shadows – would just not rest. Ten years (almost to the day) from the day of its first submission, this beautiful story found its publishing home with Blink YA Books. As it turned out the timing of this book’s release is just right: librarians are now asking for more historical YA, Barnes & Noble called it one of their “Most Anticipated Historical YA Novels of The Year”, and it has been 100 years since the Spanish Flu swept through New York; the aftermath of which inspired Maureen to write this book. 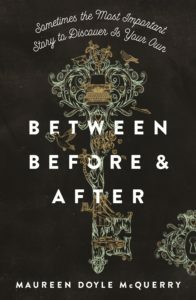 Our fondest congratulations to Maureen on today’s release of BETWEEN BEFORE AND AFTER. We are proud to been part of the journey to finding this stunning book its publishing home. Transatlantic Agency congratulates our agency clients who are finalists on the 2018 Forest of Reading Awards shortlists! These awards recognize the best work by Canadian authors and illustrators. Over a quarter of a million readers participate in the program through schools, public libraries, literacy centres and within their homes. These awards encourage a love of reading through programs aimed at children and adults who vote for the winning books. Please join us in giving a warm welcome to Alexa Dooseman, Fiona Kenshole’s latest client. Alexa Dooseman lives in Portland, Oregon where she writes, reads and walks her dog in the rain. Her humor pieces, essays and book reviews have appeared in a variety of places, including McSweeney’s Internet Tendency, The Rumpus and BuzzFeed. She has her MA in English Language and Literature from the University of Virginia, a degree earned mainly by obsessing over every Emily Dickinson dash. Alexa is currently at work on her debut middle grade magical realism novel. It follows an 11 year-old girl who is willed a mysterious, plot-shifting book, leading her to discover a secret society that has protected the magic behind books throughout history. An excerpt won first place in the middle grade category of the 2016 Pacific Northwest Writers Association Conference Contest in Seattle, WA. In her free time, Alexa can be found hiking with her husband and reading her favorite books to her newborn son. We’re excited to welcome Leah Freeman-Haskin to the Transatlantic fold. She is represented by Fiona Kenshole. Leah Freeman-Haskin is a children’s writer in Los Angeles. Born in Boston, MA, Leah holds a degree in English and studio art from Boston College. As the daughter of an artist, she spent many years traveling and living abroad, continuously inspired by art and literature. Though she spent much of her youth writing poetry and creative fiction, it wasn’t until the birth of her son three years ago that she rediscovered her love for children’s picture books. Leah is currently working on her first children’s book, a heartfelt story about defining beauty and self-acceptance. Thanks to the reviewers and congratulations, Amber! Amber is represented by Fiona Kenshole. French rights to Vicki Grant’s SHORT FOR CHAMELEON have sold to Bayard by Lora Fountain of Lora Fountain & Associates, in a deal arranged by Fiona Kenshole. This YA caper follows a teenaged rent-a-relative, an elderly scam-buster and a beautiful girl with a devastating past as they find the meaning of family. Italian rights have sold for Vicki Grant’s 36 QUESTIONS THAT CHANGED MY MIND ABOUT YOU to Simona Casonata at Mondadori, in a pre-empt, by Vanessa Maus of Berla & Griffini; Indonesian rights, at auction, have been sold by Nawara Hinkaran of Tuttle-Mori; and Korean rights, at auction, have sold to Frombooks by Sungwoo Ahn of EntersKorea Agency, all on behalf of Fiona Kenshole. The YA romance is about two strangers with heart-breaking secrets who answer 36 questions to see if they can fall in love, inspired by a “Modern Love” column in the New York Times. What awesome news for a Monday morning: Amber Keyser’s forthcoming POINTE, CLAW received a starred review from Publisher’s Weekly! Publishing with Carolrhoda Lab in the spring, POINTE, CLAW is Amber’s compelling YA novel blending ballet and biology through the dual perspectives of protagonists Jessie and Dawn. Both women face fears, physical and mental, in a story about identity and the powerful bond between friends. Publisher’s Weekly writes: “Keyser’s writing shimmers with raw emotion and empathy, and her finale, much like in dance, is poetic, bittersweet, and life affirming.” Here’s to writing that shimmers! Read the full (and great!) review here.